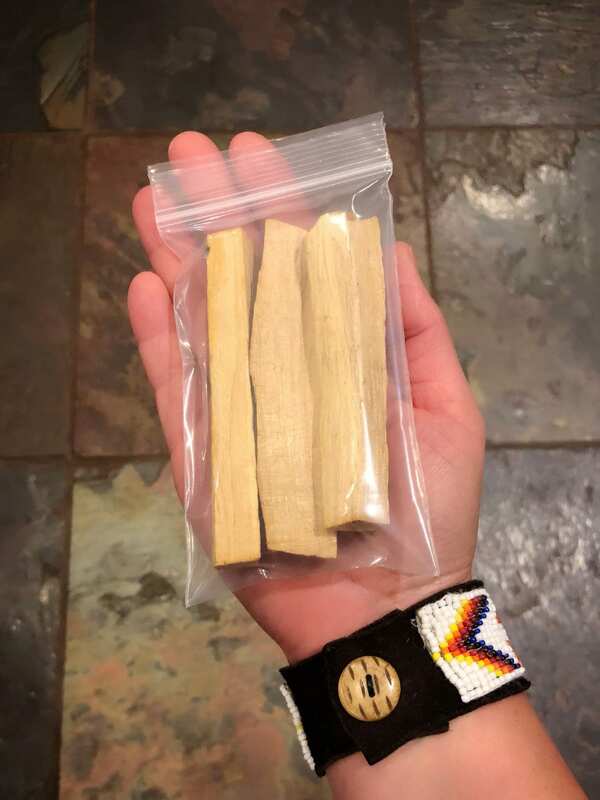 You will receive 3 Palo Santo sticks in this pack. Each pack of 3 weighs just over 1oz. Fair trade harvested in the Amazon Jungle in Peru. These sticks are hand split from whole logs. 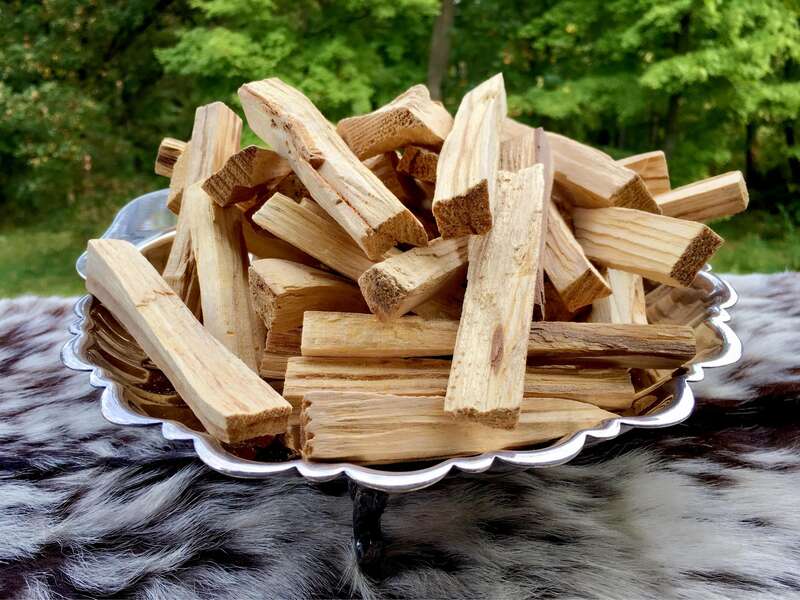 We do not use any machines to process our Palo Santo so these sticks are much thicker and heavier than the commercial marketed machine processed Palo Santo. These sticks can be used over and over again until they have completely turned to ash. 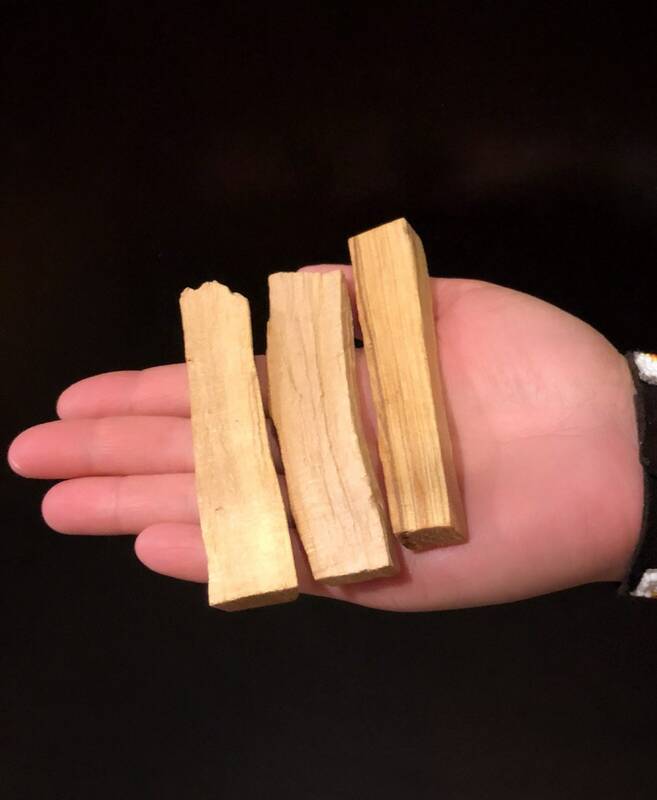 Palo Santo is used to clear any negative or unwanted energy, leaving behind only the positive energy. The scent of Palo Santo is a woodsy citrus aroma which is very calming. Received in perfect condition. Smells divine. Thank you for the gift. So great that I ordered two! I always get complimented after I burn this in my car as preparation to fight the negative energies I know I'll face. Wonderful aroma!